Today I'm finally sharing our little boy's name. It took us so long to decide, and there was definitely a lot of back and forth, but in the end we chose Asher Robert. A name is such a huge decision, especially for first time parents I think. We wanted his name to be strong, meaningful, and a little unique. We went through every list known to man, and a couple books before we finally decided. Hebrew in origin, meaning Happy, Blessed, and Fortunate. The meaning is what really sold me on this name. I love that it's a little unique, and although it's classified as trendy, it's actually a really old, classic name from the bible. Asher was one of Jacob's sons, one of Abraham's grandsons. We hope and pray that our Asher is blessed and happy, and that in all that he does he brings happiness and blessings to others. A German name meaning famed, shining, and bright. I love the meaning, but really this name means so much more to me. Robert was my Grandfather, my Papa. He was the greatest man, my biggest cheerleader and supporter growing up. He taught me so much about life. He was a good, good man and when I found out I was going to have a son, I knew I wanted to somehow give him a piece of my Papa. I constantly feel him looking down on me and guiding me through this life, and I can't help but think he is already watching over Asher. I feel so proud to pass this name on to him, and I can't wait to teach him why it's so special. It IS a tough decision to pick a name! We had had only one boy name in mind--we would have had a much harder time choosing a girl name, I think! Cyrus is named after both my great-grandfather and King Cyrus in the Bible--for us, it was perfect because there was a connection to our family, and also to our faith. 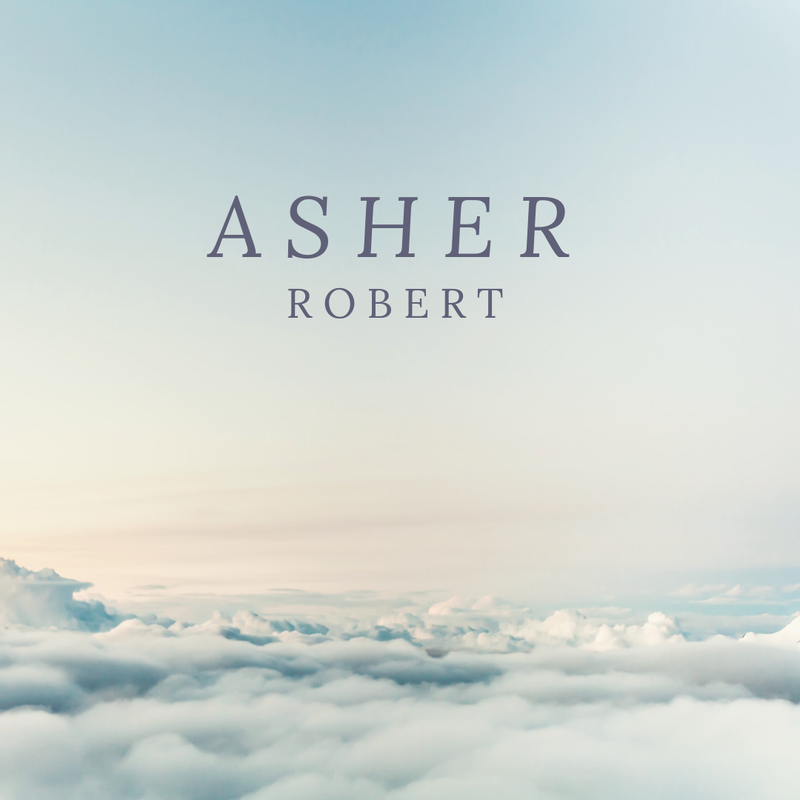 You have the same kind of connections--to family and faith--with your Asher Robert!